To help you envision a space, kept warm enough for you to enjoy that hot cup of chocolate late every evening, while your kids play and do homework. And all the while you look at life and smile in satisfaction. The furnace is often referred to as the heart of the physical home. It emanates warmth and extends an invitation to relieve stress and take time off to reflect on the day gone by. The furnace in Toronto is an especially important feature given the historical character and architecture of most homes, as well as the biting cold winters that we enjoy in this part of the world. Furnace repair in Toronto has now become an easier affair with a professional team here at Home Stars Heating and Air Conditioning that deals with just that. We understand furnaces and their needs. The average furnace is quite high maintenance and we believe in pampering it. We service and repair them so that they are as good as new and warm the very cockles of your heart. The technology used by a furnace is that of direct fire heating. This means you get your unadulterated dose of heat supply in your space. Also, it means a quaint looking corner that oozes décor charm! So the next time you see a furnace and long to use yours with apt furnace repair itself, to keep your home and hearth warm, you know whom to call! 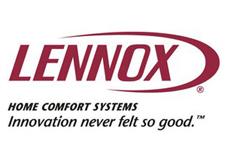 Save on energy bills and enjoy the perfect temperature while at home with our wide range of Lennox home comfort systems throughout the year. Superior technology meets innovative solutions to create products that will keep your home cool in the hot summer months. Driving change since 1934, Amana has revolutionized life as we know and helped improve the quality of life in both homes and offices. 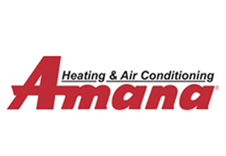 Amana has had generations of trust backing their dependable products, and as dealers, we are proud to bring to you a wide range of products that speak for themselves.